Please note that Santa wears cowboy boots here in Texas! How cute!!! But where are the Santa tears... 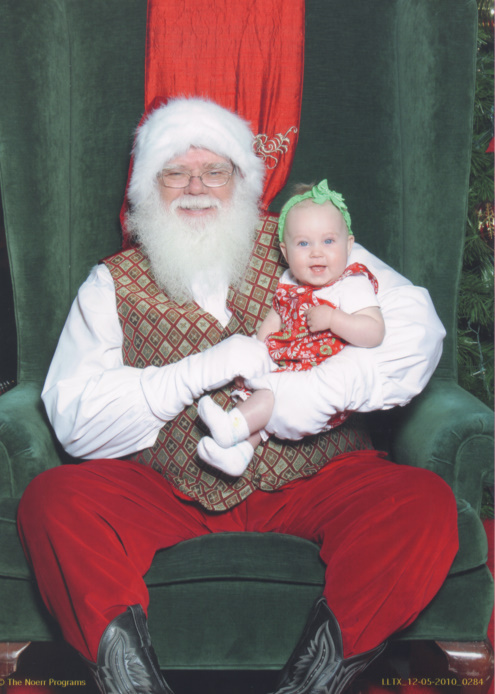 I guess Chloe doesn't know you suppose to cry sitting on Santa's lap...maybe next year. Too cute! She LOVES Santa! Chloe knows who to be good to and I'm sure Santa was glad to see a happy baby. She looks so cute. Two happy faces! Bet Chloe's one of the few babies Santa has held who didn't scream in his ear.